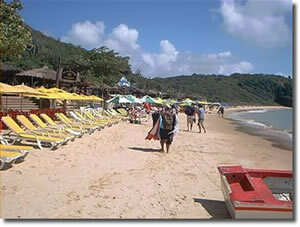 How to arrive: The Beach of Tartaruga is located between Virgens and Manguinhos Beaches. 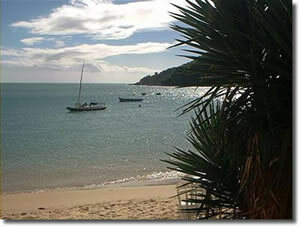 From the center of Buzios, in the direction of the Portico, follow about 600 meters ahead and, in the second street that leaves by hand right, turn at right. Continue about 600 meters until the Tartaruga Beach. 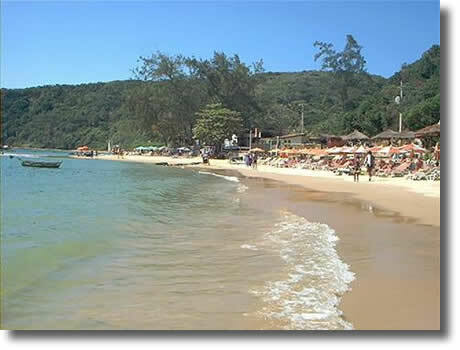 Geography: Sand beach golden with very little slope, and, in its right flank, small beach with cleared stones multicolors. 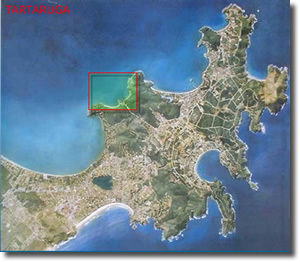 All the Beach Tartaruga is framed in virgin native vegetation (Mata Atlantica), oriented to the northwest. Characteristics: Cove of waters crystalline, warm and calm, ideal for lays eggs of 3 species different from Marine Turtles, that him diron name. In the left flank, a footpath in Mata that follows until the Ponta da Sapata, in the beginning of the Beach of Manguinhos exists. A rich attractive coralline formation, it adds for the lovers of snorkeling. Services: Sector urbanized with beach kiosks and restaurants that offer to the tourists the delicious varied plates, drinks, parasols and reposeras. Baths public. Parking with monitoring. Activities: Banana Boat - Strolls in Rafts - Rent of Kayaks. A exuberante scene stopped obligatory of all the strolls of escuna. Its high point is its famous one and amused Happy Hour, very tried to offer an pleasant structure and a gorgeous Vista to the dusk.